I'm super excited to share with you how fun and amazing my week had been. Oh yes! full of fun memories that forever be treasured in my heart. We celebrated our 7th wedding anniversary Saturday, followed by my daughter's 6th birthday celebration Sunday. It was a blast! 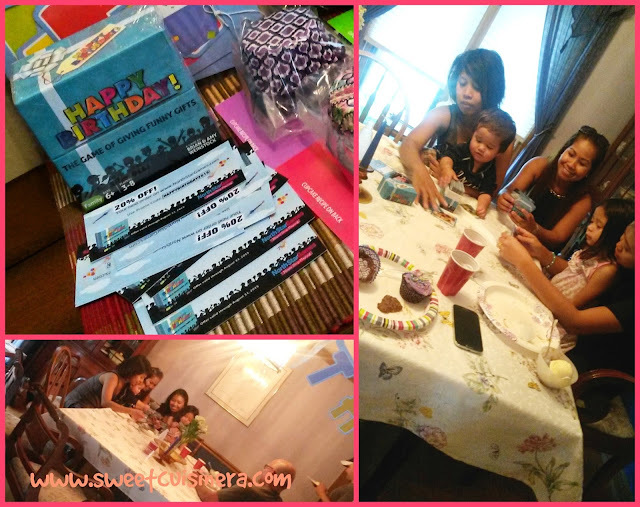 As my daughter enjoyed all the summer birthday party goodies that we got for free from Tryazon. Yippeee! Another awesome party sampling opportunity that I'm so grateful to be part of, and able to share this experience with my family and friends feel so great. Party Host Guide- to help plan and carry out the best party! 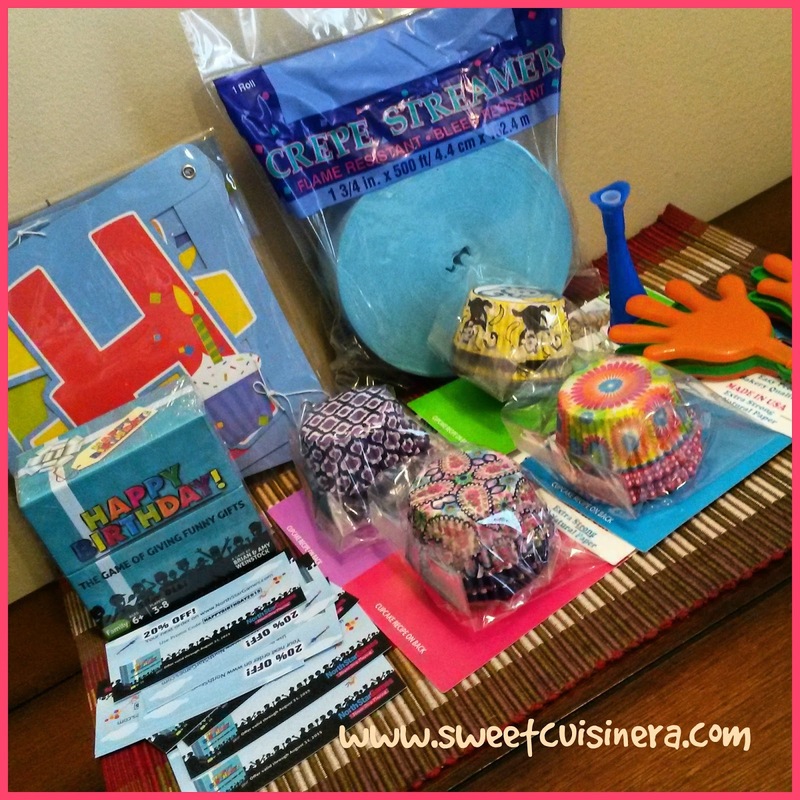 Thank you Tryazon for this awesome #summerbirthday party kit! Getting all the products mention above for free felt so great! and it gives me motivation to make my daughter's 6th birthday party an unforgettable one. 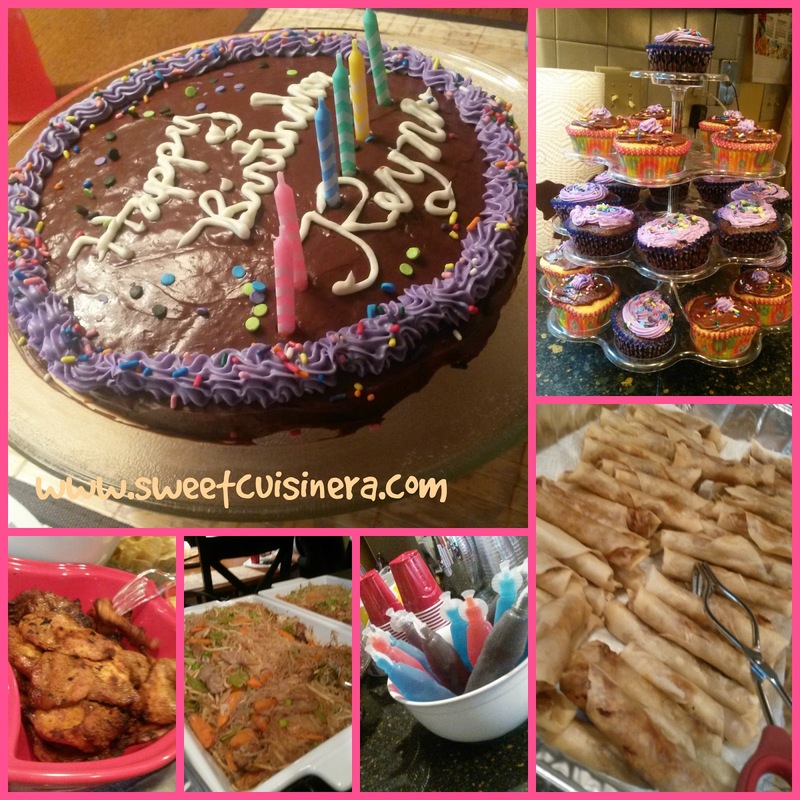 I'm inviting you- to join me as we unfold Reyna's 6th Birthday celebration. 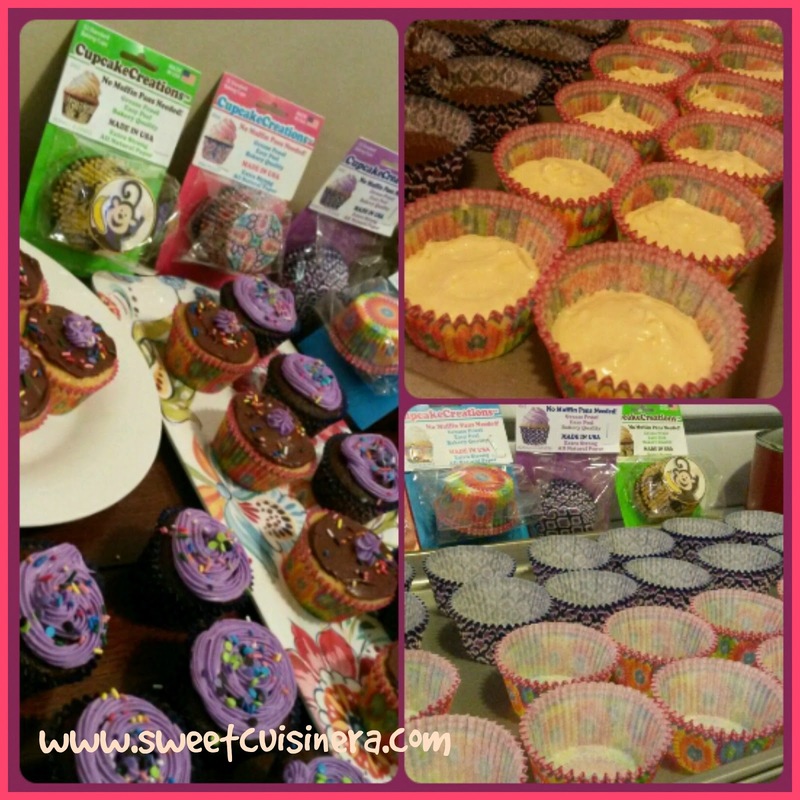 I used Morocco/Lavender and Pink Paisley Cupcake Creations Baking cups as requested by birthday celebrant. The best thing about Cupcake Creations baking cups are "No Muffin Pans Needed" grease proof, easy peel, bakery quality, extra strong natural paper and it fits standard baking tins. As you may noticed that I didn't used muffin pans to make this perfect cupcakes. Now that we have a perfect cupcakes for the guest, let's move on to the food. Yum! Tips: Always prepared your party food menu ahead of time for relaxing and fun party experience. We had Lumpia Shanghai, Pansit, Pork Barbecue, Rice, Cheesy Potato, Chip and Dips. Yum! Also we truly enjoyed cake, cupcakes, cookies and ice cream at the end. After we had our amazing meal, then we head off and play Happy Birthday Game- it gets the kids and adult laughing as soon as they open the box. It's about surprising each other with great gifts. How to Play? It's super easy! Distribute 5 cards to the players. Then, everybody gives you a gifts from their hand. You pick the BEST and the WORST birthday gift card and whoever card get pick get a point. Whoever get the first 5 point WIN! A perfect summer birthday party indeed! My daughter loved every minute of it. As a Mom, seeing my daughter smiling and happy is best thing ever. The whole experience is so FUN! I hope it inspires you on your next party events. I'll see you in few days for more fun recipe ideas. Stay gorgeous everyone! Thank you so much to my beloved family and friends for being so generous and loving as always. I love you all! 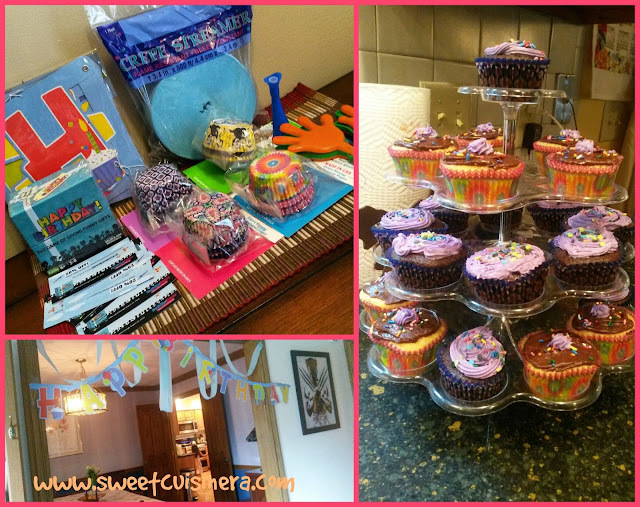 Also, big Thank You to Tryazon for such an amazing summer birthday party kit that my family and friends enjoyed. I really loved how Crowdtap sent out their package. Aside from the tracking number that they sent you through e-mail. Crowdtap also packed their package nicely. 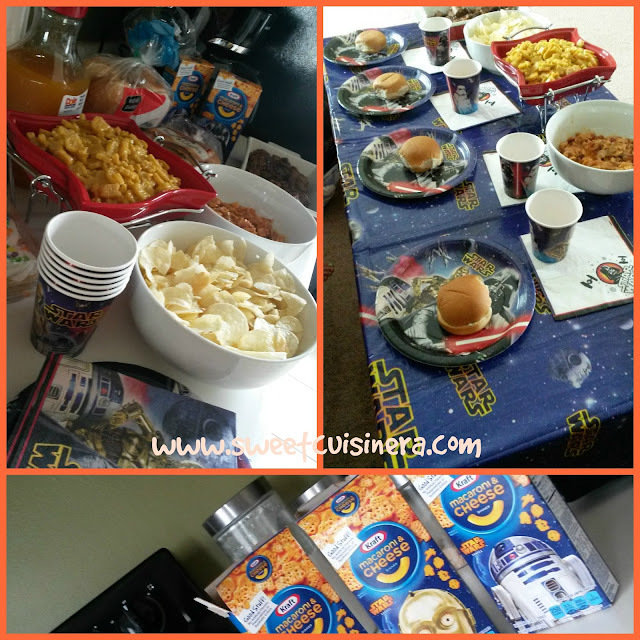 I truly enjoyed every single item on my KRAFT Star Wars-Themed Macaroni & Cheese Party kit, so generous and so fun! Thank you so much Kraft and Crowdtap. Now that we have all the materials we need for the party. Let's start! I'm inviting all Star Wars fans to join me, as we discover together such a delicious good, great company and of course Kraft Star Wars Macaroni & Cheese. 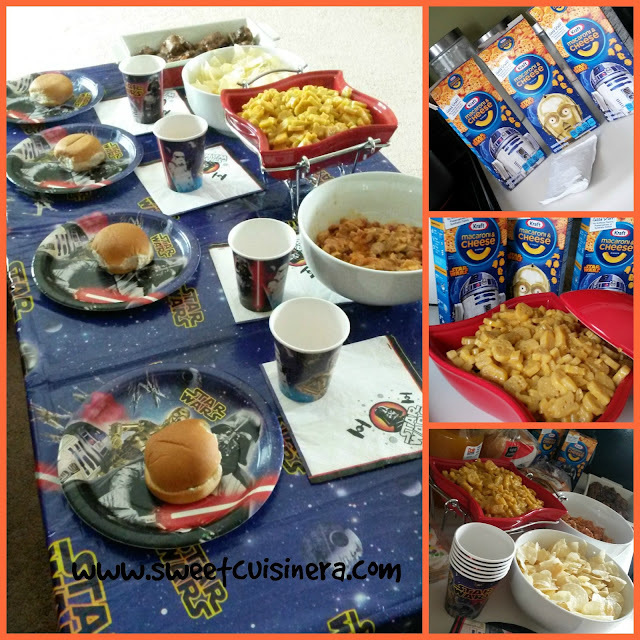 I have to say that KRAFT Star Wars Macaroni & Cheese is such a great addition to any party. It has all the star wars characters that any one would love and enjoyed, especially those whose star wars fanatic. Jedi Vs. Sith Dinner Party!!! First on the food list menu is the Ultimate Fun Star Wars Shape Macaroni & Cheese that has no artificial flavors, preservatives, or synthetic colors. We also had Hawaiian Pulled Pork which makes perfect pair with Kraft Macaroni & Cheese, Chicken Adobo, Potato Chips, Carrots, Sweet Mini Buns. We also had mini chocolate cupcakes for our dessert and enjoyed tropical blend juice as our drinks. We enjoyed the food and seeing the kids laughing and playing as Jedi & Sith is simply rewarding. The party experience with KRAFT Star Wars-Themed Macaroni & Cheese is simply AWESOME! 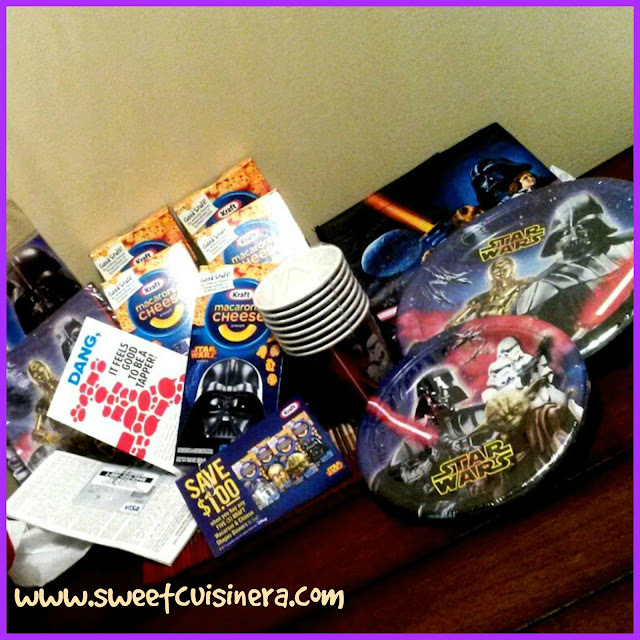 We had so much fun exploring Star Wars characters and able to enjoyed the food and the party kit that was provided by KRAFT and Crowdtap. My son along with other kids enjoyed the star wars shape macaroni & cheese and can't stop talking about it, a moment to be treasured forever for sure. I hope this post inspires you on your next themed party. Don't forget to grab some of KRAFT Star Wars Shape Macaroni & Cheese to add some fun characters on your plate. Keep checking on my blog for your next recipes, and don't forget to sign up on Crowdtap and check Kraft Macaroni & Cheese website . Until next time everyone. I'll see you in few days for more fun recipes. Stay gorgeous! 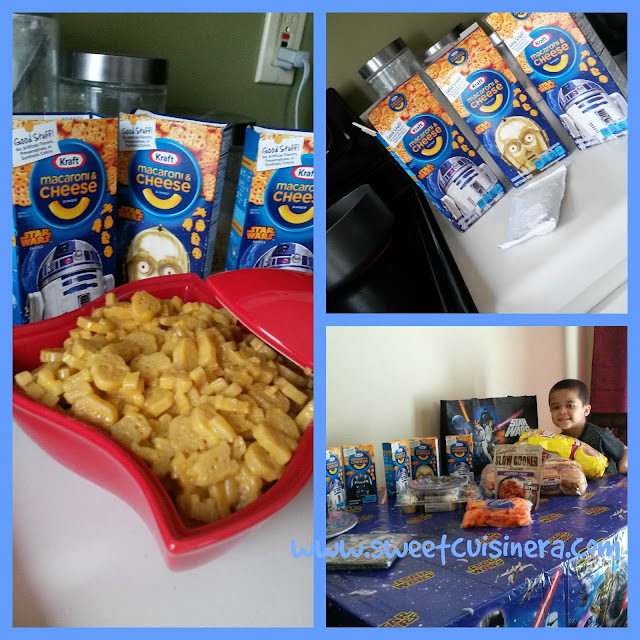 Thank you so much to KRAFT and Crowdtap for making this Star Wars-Themed KRAFT Macaroni & Cheese party so much fun and able to share the experience with my family and friends.